Though often depicted in basic black and white, most penguins are more colorful. There’s just something about penguins. Pleasantly plump, they stand upright and teeter like toddlers. Although often depicted in black and white, most are actually more colorful. Seven species have long, jaunty golden feather tufts above their eyes. 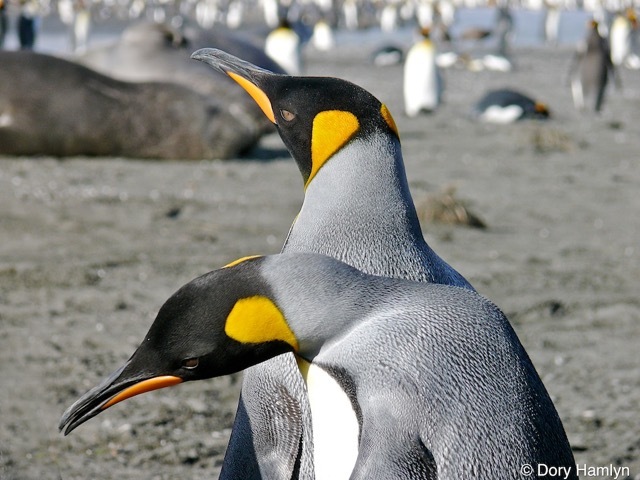 King Penguins (like these) and Emperor Penguins have necks that glisten gold. The Little Penguin is blue and white. 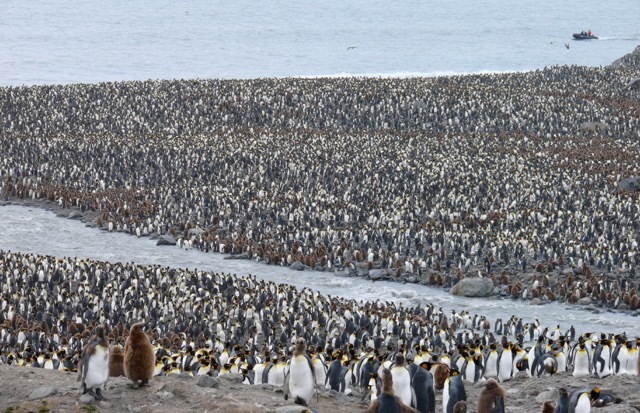 Penguins are found in the Southern Hemisphere, from the Equator to Antarctica. There’s just something about penguins. Pleasantly plump, they stand upright and teeter like toddlers. Penguins really are endearing. 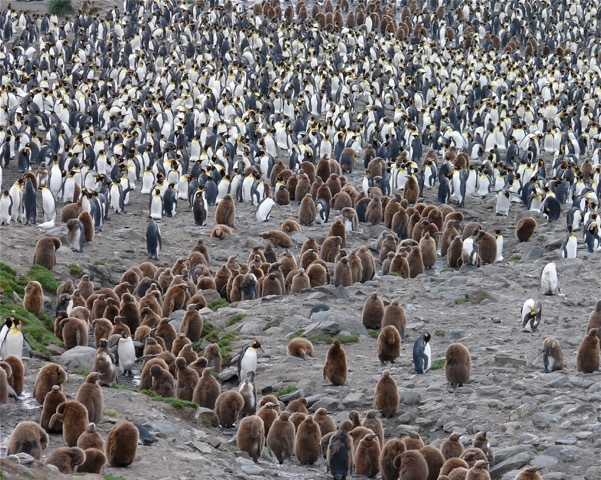 Eighteen different penguin species occupy the southern hemisphere. They range in size from the four-foot-tall Emperor Penguins of Antarctica to the petite, one-foot-tall Little Penguins of Australia and New Zealand. Though often depicted in basic black and white, most penguins are more colorful. Seven species have long, jaunty, golden feather tufts above their eyes. 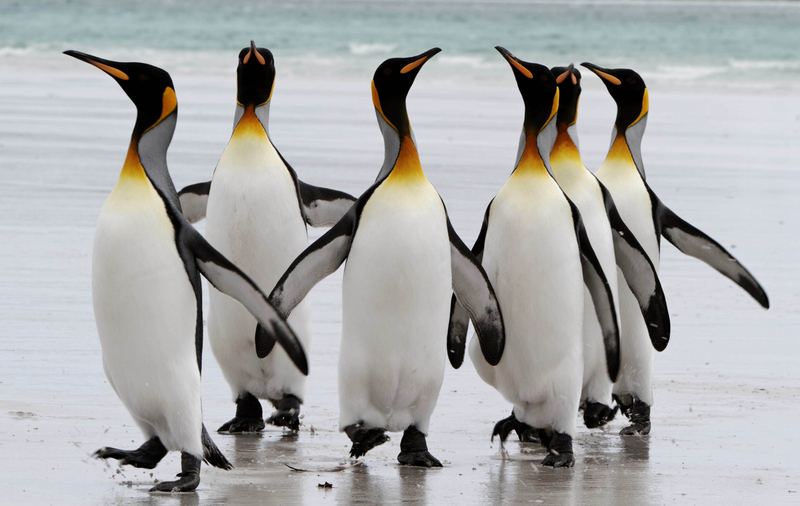 The largest, King and Emperor Penguins, have necks that glisten gold. The Little Penguin is blue and white. 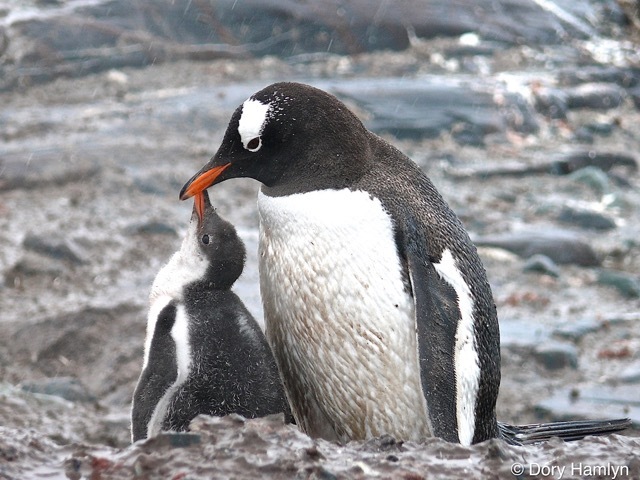 Penguin ancestry dates back at least 60 million years. One species of ancient penguin stood nearly five feet tall, weighed as much as a human being, and had a long, vicious-looking bill.